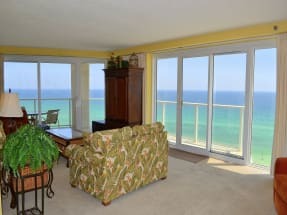 Welcome to Beachside Two Vacation Rental condominiums! 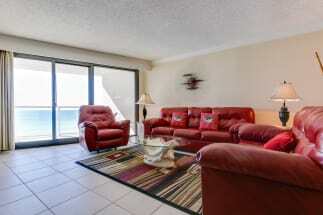 This complex is located in Sandestin and is set right off of the beautiful white sands of Miramar Beach. These condominiums offer guests the choice of studio rooms or 1, 2, and 3 bedroom condo rentals. Guests will find that all of the units will come fully furnished along with a TV and a washer and dryer. Each rental is also provided with their very own private balcony that lets your eyes gaze over the sparkling waters of The Gulf of Mexico. This complex provides guests with a heated pool, hot tub, fitness center, and best of all, a private boardwalk down to the beach. When staying in Sandestin what better way to fill your free time than visiting Baytowne Wharf with the whole family! There are many activities, restaurants and shops that will fulfill every vacationer's needs. Along with the daytime walks along the Wharf, the nightlife is just as exciting and will leave your family wanting more. 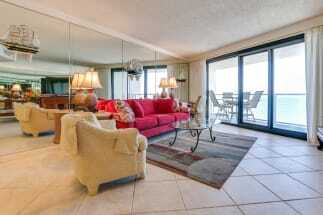 Scroll down now to view our selection of Beachside Two condo rentals in Sandestin, FL. Be sure to click on the 'Email Owner' button found on each listing to send the property owner a message directly, they will get back to you and gladly assist you in the booking process. ECBYO does not charge any service fees when you book with us, so book online today and save!